Roofs can be a huge source of worry and stress to home and business owners. However, you don’t have to settle for that. At Tim Leeper Roofing, we know how to read your roof’s language. When you understand your roof’s language, too, you’ll be able to identify issues before they get serious. Not only will this save you stress, it will save you money. In our last blog, we detailed two signs your roof will give you when it needs a professional inspection. Today, we have two more signs you need to give us a call! We all know that light should not be coming through the roof into our attics. This is an obvious sign that something is seriously wrong. Now, most people don’t frequent their attics. They probably get up there once or twice a year to get the Christmas decorations out. If this describes you, that’s okay. Just take the time to inspect the underside of your roof before closing the attic up again. Curling comes in two versions: cupping and clawing. When a shingle cups, its edges curl upward. When it claws, the edges stay straight but the center bubbles up. Both types indicate wear and oncoming roof leaks. 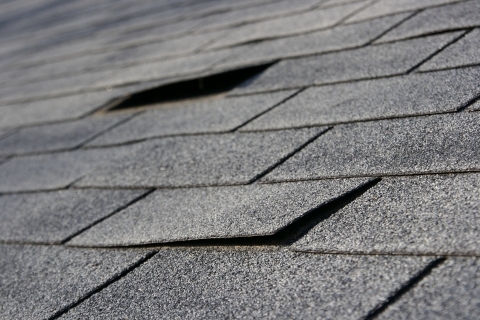 It’s time to get your roof inspected and fixed. Keeping your roof strong and healthy is easy when you work with Tim Leeper Roofing. We will always treat your property like it’s our own. Learn more about the roofing services we can offer your home or business today!